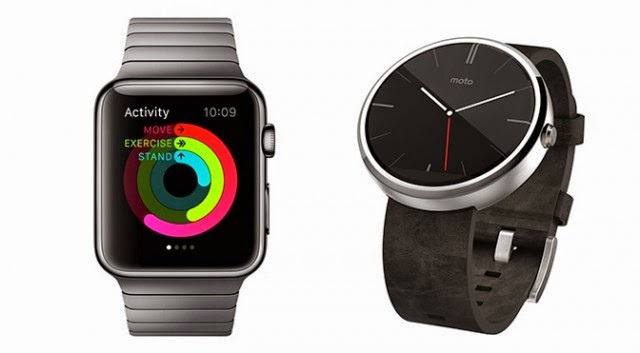 Technology technology tips Apple Watch vs. Android Wear: Which wearable will win the wrist war? Apple Watch vs. Android Wear: Which wearable will win the wrist war? Apple gave us “one more thing” at its product announcement earlier this week, and just as expected, it was a smartwatch. The Apple Watch unveiling comes a few months after Android Wear devices started hitting the market, and that might have contributed to the state of the presentation — the Apple Watch isn’t done yet. It won’t be on sale until next year, but Apple apparently felt it had to show us how it was approaching wrist computing, and it’s much different than Android Wear. Is either approach any better, though? Both Google and Apple agree that smartwatches are not phones and should not be treated as such. However, they can take over from your phone in a few important ways. Probably the most common use for watches is as a notification center for your wrist. Apple Watch and Android Wear are able to automatically display the notifications that appear on your phone, which saves you from pulling the phone out of your pocket. Apple was sure to point out notifications will be actionable on the watch, meaning you will have buttons to trigger common actions like replying to a message or confirming meeting attendance. This works on Android Wear as well, but it’s actually a built-in aspect of the platform. All the buttons in regular Android notifications are replicated on Wear. This is one of Google’s big strengths in the wearable market — developers don’t have to do anything to make their apps work on Wear at a basic level. Apple has added a new category of notifications powered by its so-called Taptic Engine. You’ll be able to virtually “tap” another Apple Watch user simply by tapping on your screen. Their watch will then vibrate in the same pattern. You can also send drawings or your heartbeat between watches. It’s kind of a cute system, though I’m not sure how useful it’ll be. They call this digital touch — I’m sure no one will ever send anything inappropriate to your wrist, right? 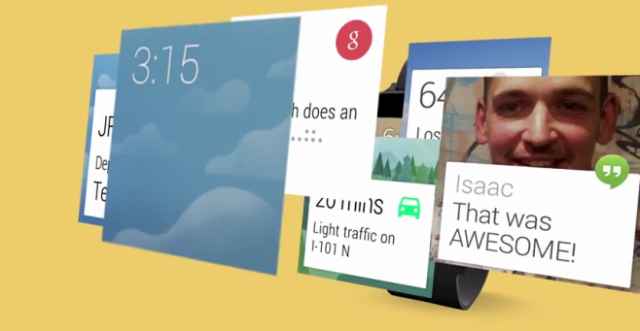 Google has been working hard to make Google Now an integral part of the Android experience. It’s essentially a predictive search platform that delivers information it thinks you’ll need before you need it. That makes a ton of sense on a smartwatch due to the shrunken down interface and more limited input options. Google Now cards are beamed over to the watch automatically with information like the weather, travel times, and flight information. Apple doesn’t have a product like Google Now, but it’s adding a feature to the Apple Watch that might serve a similar purpose. Glances will be part of the developer kit for Apple’s wearable, allowing devs to create info cards accessible by swiping up from the watch face. They can contain many of the same things you’d get from Google Now, but it’s provided by an app you have installed. When you’re just looking for information, Google probably has you better covered. Android Wear can go into search mode without a single tap when you say “OK Google.” It also has the advantage of Google’s knowledge graph and customized search cards. The Apple Watch will rely on Siri, which is still capable but not deeply integrated with a search engine like Google’s offering. When you’ve got a smart device on your body all day, it makes sense to track some fitness stats with it. Google’s solution to this is Google Fit, a platform that developers can plug into with their own apps – not just on the watch, but on all your devices. It’s still in preview, but existing Wear devices already use Fit to track metrics like heart rate and steps. Apple is also pushing fitness tracking as a big part of its watch, but the company is taking an alternative route and handling the entire experience in-house. The Apple Watch will come with an activity overview, a workout app, and a companion app on the iPhone to track your stats over time. This will likely offer a more consistent experience for users, but it’s not clear how much access developers will have to always-on tracking. The Android Wear SDK has been available for a few months at this point, and a number of very interesting experiences have popped up both as standalone apps and additions to existing ones. Google is allowing developers to do a lot with the platform, but Apple will probably be more locked down. 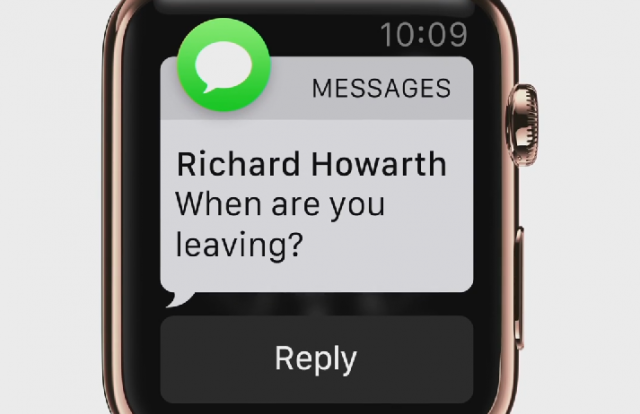 The WatchKit tools for developers aren’t out yet, so it’s hard to say exactly what capabilities third-party apps will have, but it will include support for actionable notifications, watch-specific app interfaces, and the aforementioned Glances UI.